When to call an arborist? 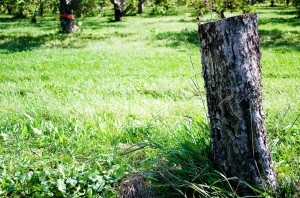 Check out our new page about The Dangers of Removing a Tree Yourself. A great resource about why it’s dangerous to remove a tree yourself and why it’s important to contact a professional about your tree removal needs. We pride ourselves on being one of the best tree removal services in Virginia Beach. Call us today for a free quote. We are 100% Fully Licensed and Insured! We Got your Information from the Yellow Pages. We were a little worried about finding a good contractor. You Took the time and explained to us, everything, and how the work was going to go on. I was still worried but, when you all showed up and got started working. I watched your guys remove 9 trees in my yard, in one day. That was awesome. I am so glad we choose you. Advance Tree Care Service, are the experts in tree and lot clearing. I had and I mean I had a rain forest in my back yard along with a 50 foot White Oak draping over my two story home. A 20 foot dead Maple on my side yard, a 20 to 25 foot Gum ball on the side of my drive way and tree limbs hanging over the shallow end of my in ground pool. The Advance Tree care crew arrived at 10 a.m. and by 4.00 p.m. I had my back yard back, Oak limbs off my House, a dead maple and a Gum Ball tree (that always had lots of gum ball in the drive way ) gone along with the tree stumps, and sun shine in the shallow end of my pool. Thank you Advance Tree Care for your hard work and expert tree removal without stopping in the high heat you will always have my business. Here are the pictures that I took of Advance Tree Care cutting down my tree. You and your Team do Excellent work. Thank You. I had an emergency tree removal situation and these guys came out within the hour to help. They were extremely professional and their estimate was very reasonable. I would highly recommend this company!